Samsung already has a firm grip on the consumer smartphone market, but the enterprise sector is a completely different ballgame. So in an effort to put businesses at ease and gain a larger corporate following, the Korean company this year officially unveiled a new mobile security system called Knox. With so many Samsung devices available, the company certainly has the potential to make inroads at some big firms around the world—only, a new report from The Wall Street Journal suggests Knox has been full of bugs and delays, annoying some big clients. One of Samsung's clients, the U.S. Defense Department, has allegedly become frustrated by Samsung's Knox system, leading to some internal strife among the Samsung brass; the company is supposedly hard at work bringing Knox back into 100 percent shape. With BlackBerry ailing—enterprise market share has reportedly fallen from 68 percent in 2010 to 5.4 percent today—Samsung certainly has an opportunity to fill that void. There's still the stigma of Android to contend with, however, making Apple's iOS a more appealing option. According to WSJ, "many corporate tech administrators widely perceive its smartphones, which run on Google Inc.'s open-source Android operating system, as being more prone to viruses and easier to hack than Apple Inc.'s iOS and BlackBerry proprietary software." Fixing that perception has become one of Samsung's top priorities, WSJ added. 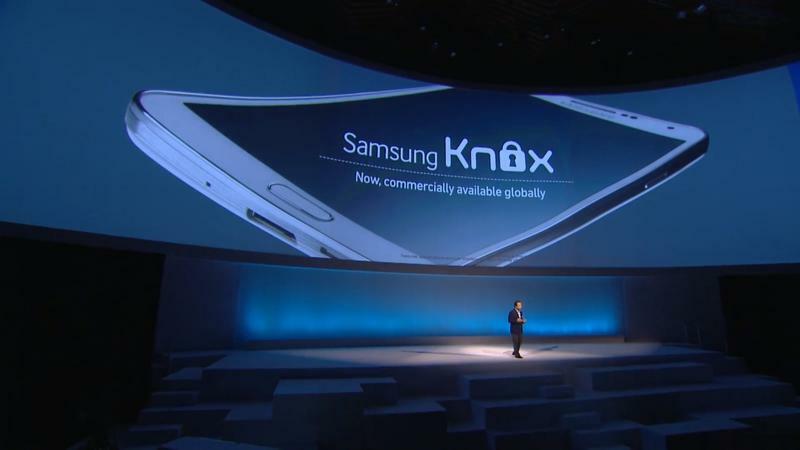 Knox essentially gives corporate tech admins complete control over their employees' Samsung device or devices. Handsets can remotely be shut down, company data cordoned off, and alerts can be set if a device's code has been tampered with—all excellent features for sensitive corporate data. But if those promised features aren't working as advertised, especially for a customer such as the U.S. Defense Department, Samsung could lose its small portion of the enterprise market pretty quick. One source admitted that Samsung isn't a service business, which is why it's experiencing so many issues. "Creating this new organization that specializes in selling software and services, that took us longer than expected," the source said. Over the course of 2013, Samsung repeatedly assured potential clients Knox would be ready, and even come preloaded on the Galaxy S4. It didn't wind up coming preloaded on a Samsung devices until the Note 3 hit a few months back. Deployment thus far has been slow while Samsung works through the issues. But if those issues don't get patched up, the company's big enterprise push could fall flat. One BlackBerry exec said of Knox, "[It] can potentially pose threats to enterprises." With the consumer market locked up, definitely not the start to enterprise life that Samsung would have wanted.